January | 2014 | Are there chicken sheds in heaven? 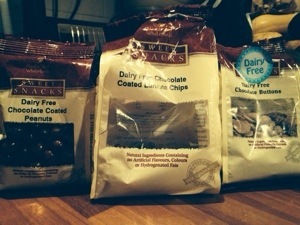 Holland & Barrett new dairy free range of goodies… Yum! 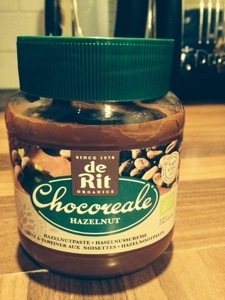 No longer miss Nutella! Hoorah! This year’s badger cull in the UK, the selective slaughter programme to try and eradicate BSE in 2001…. what will it take for us to stop farming these animals in such large numbers, keeping them in such unnatural conditions and transporting them such unnatural distances? It’s all just so depressing when the whole thing is so easily avoided. Just stop eating animals! The Hong Kong authorities have ordered the slaughter of virtually all poultry in the territory to prevent the further spread of an outbreak of a disease known as “bird flu”. Imports of poultry from the rest of China are also to be suspended. Environment and Food Secretary Lily Yam said 1.2 million birds would be slaughtered. But she added that the virus was different to the 1997 strain, which killed six people, and would not affect humans. The precautionary slaughter of 4,500 chickens began on Wednesday. The infection is a new and highly virulent strain of avian flu. In the first 24 hours, it killed almost 800 chickens, kept in cages in three separate markets. Now all the chickens, ducks, geese and quail in the territory’s markets, along with all mature poultry on its farms, will be slaughtered at a cost of over $10m. Since Wednesday, the disease has been discovered in 10 different places. And demand for chickens in the territory has dropped dramatically, with scared consumers switching to other meats or vegetables. Hong Kong consumes about 100,000 fresh chickens a day, and imports 70% of its poultry from China. The appearance of the H5N1 virus in Hong Kong in humans in 1997 prompted fears of a worldwide epidemic. And a 1998 study showed similarities between the virus and Spanish flu, an outbreak of which killed between 20 and 40 million people in 1918. A less serious strain infected two children in 1999, and there were unconfirmed reports of further cases in China’s southern provinces. 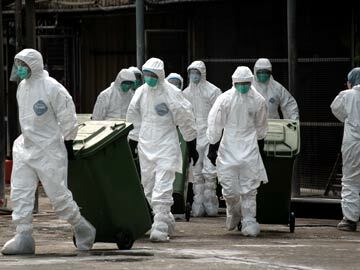 Most bird flu viruses do not replicate efficiently in humans. Her milk is not meant for us! Why you don’t need Dairy! A great lecture explaining why we don’t need dairy in our diets at all….! I try not to post any video that are unnecessarily brutal, shocking or upsetting as no one wants to see those – meat eater or not. Here is a thoughtful video which isn’t remotely shocking. Just talking you through the life of a dairy cow.